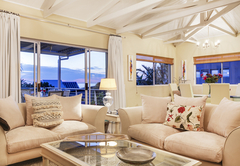 Victoria's Cove is a property providing self catering in Bakoven for up to 6 guests visiting the Atlantic Seaboard region. 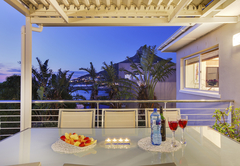 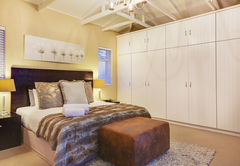 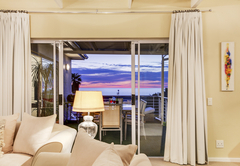 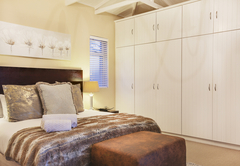 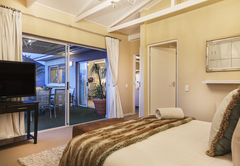 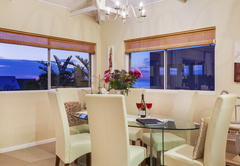 Victoria’s Cove offers accommodation in a luxury beach style holiday apartment situated in scenic Bakoven. 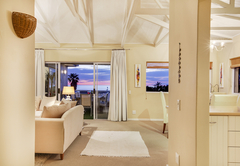 It is located on the beach side of Victoria Road. 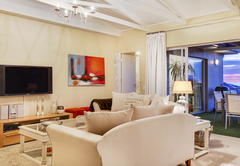 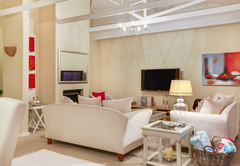 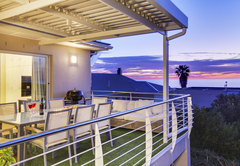 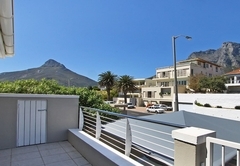 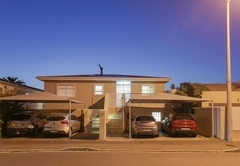 The apartment is just a mere 10 minute drive from Cape Town city center, the V&A Waterfront and is within walking distance to the Bakoven and Camps Bay beaches, its excellent restaurants and shops. 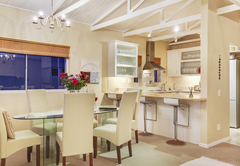 Victoria’s Cove is great for holidaymakers and business people alike. 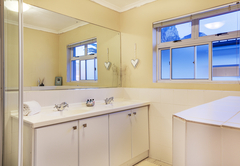 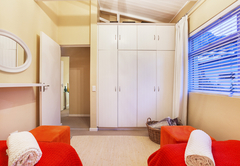 The self catering apartment is on the top floor of only one other adjoining unit. 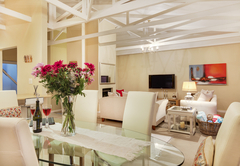 It offers you peace, tranquility and all the modern, yet relaxing features one would need to unwind. 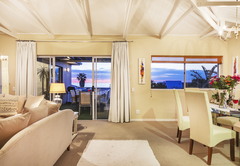 It features a large main bedroom with sea views that opens up onto a lovely terrace. 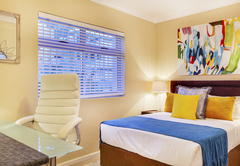 The room is furnished with a King-size bed, a flat-screen TV with DStv and has an en-suite bathroom with shower and toilet. 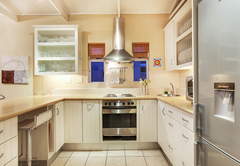 There is ample cupboard space with a built in safe. 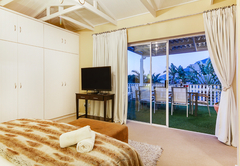 Two additional bedrooms, the second with twin beds (can be made into a King-size on request) and the third with a double bed, share the second bathroom with shower, bath and toilet. 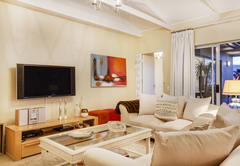 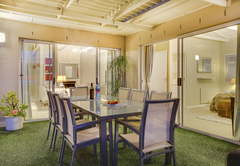 The spacious lounge and dining room area, equipped with a flat screen TV (with DStv and DVD player), open onto the expansive, covered terrace. 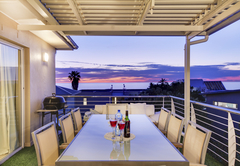 The terrace has beautiful sea views and is furnished with an eight seater table and Weber braai; perfect for sundowners or alfresco dining! 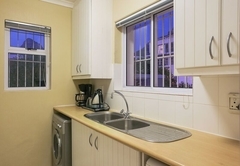 The well appointed kitchen is fully equipped to meet yourself catering needs and includes a separate scullery with washing machine and tumble dryer. 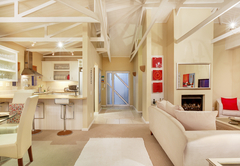 The self catering apartment is on the top floor of only one other adjoining unit. 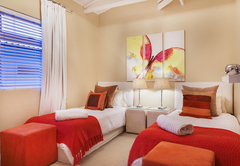 It offers you peace, tranquility and all the modern, yet relaxing features one would need to unwind. 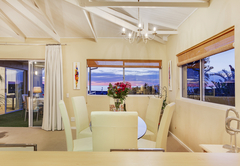 It features a large main bedroom with sea views that opens up onto a lovely terrace. 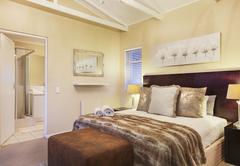 The room is furnished with a King-size bed, a flat-screen TV with DStv and has an en-suite bathroom with shower and toilet. 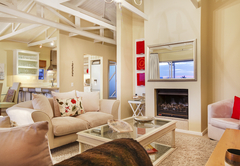 Response timeVictoria's Cove typically responds to requests in 5-10 minutes.